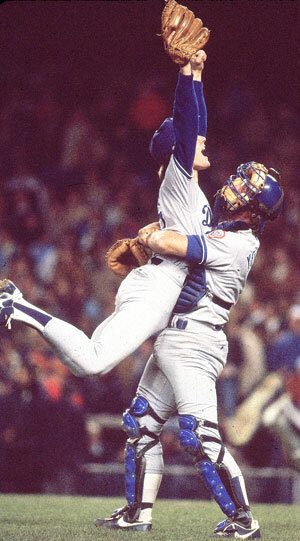 It was 30 years ago today that the Dodgers defeated the Yankees to win the World Series. Steve Howe and Steve Yeager celebrate the last out of the 1981 World Series at Yankee Stadium. Game 7 coming up. Should be a fun night.